Whether sitting around with a group telling stories or simply sitting and relaxing alone, there is something about sitting in front of a warm cozy fire that is hard to replace. Building a traditional wood fire can sometimes take a long time and be inefficient for heating for a short time. Gas logs make creating a fire as simple as pushing a button and can be instantly turned off. 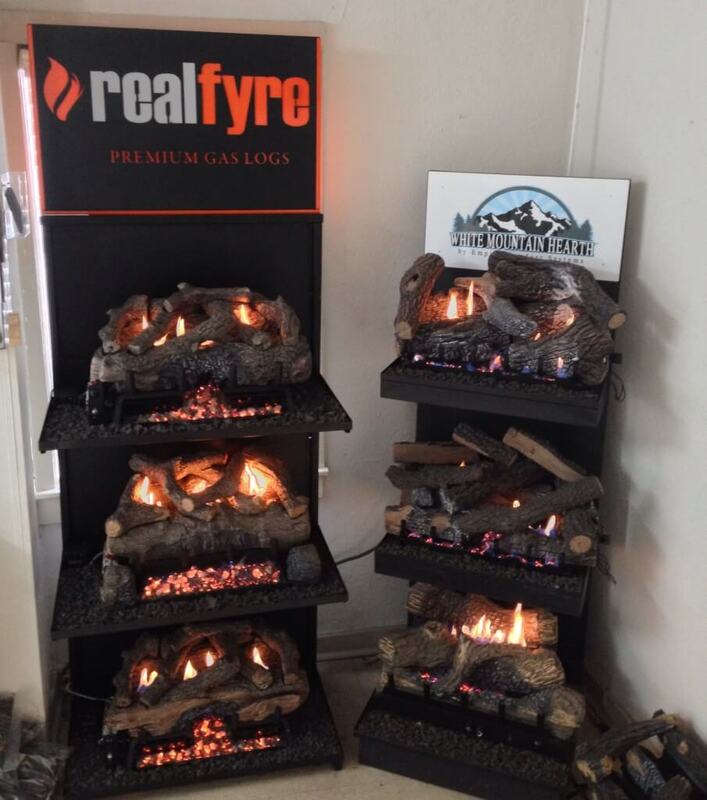 With the advances in gas log manufacturing and accessories, today’s gas logs look more realistic than ever. G & S Gas Service INC is ready to help install a set of beautiful gas logs in your home! With years of experience, our service technicians are able and ready to install your logs in a professional, efficient and friendly manner. 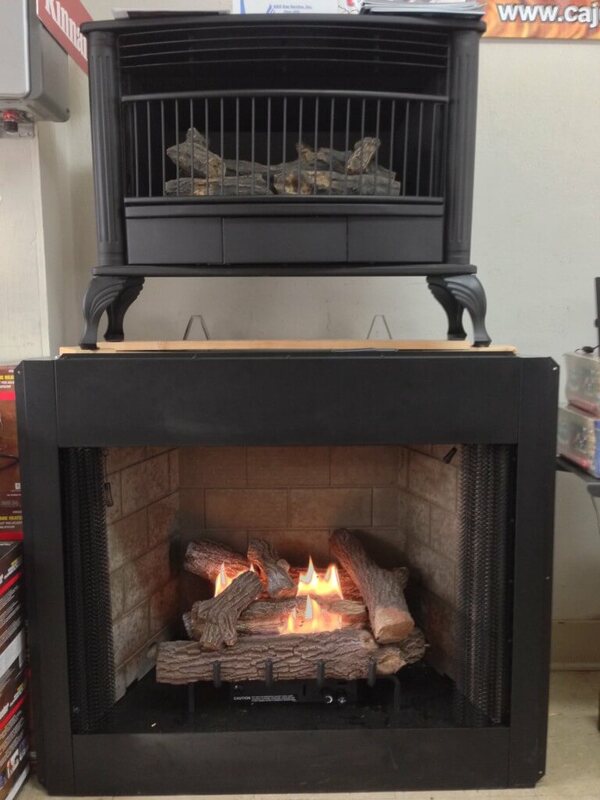 Our showroom is full of gas log displays and brochures ready to show you different available options. You will find some general gas log knowledge below. For further questions and more information, please stop by or contact our office. Be sure to check out examples of some of our past gas log installations. Contact us about having gas logs installed in your home! 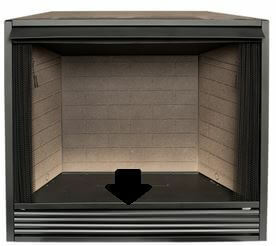 When making the decision for your gas logs, you have two main options: vented or vent-free. Vented logs give a much more realistic looking fire, but vent-free logs are able to keep much more of the heat inside the house and increase the heating efficiency while still producing a very realistic looking fire. 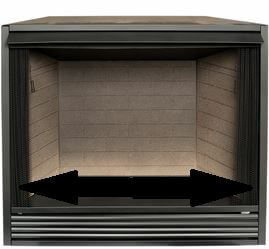 I don’t have a fireplace in my house, Can I still install gas logs? YES! With vent-free gas log firebox inserts, installing a set of gas logs in your home is very easy and can be done in just about any space. From prefab fireplace mantel kits to having a custom mantel built around a firebox, the options are endless. Are Vent-Free Gas logs Safe? Every vent-free heating unit sold in the United States must have a tamper-resistant, precision-engineered oxygen detection safety sensor (ODS), which is equivalent in function and reliability to an electrical circuit breaker. The ODS automatically shuts off the appliance in the unlikely event that the optimal oxygen level in the vicinity of the unit begins to drop. The ODS shut-off point is defined by a minimum set by the American National Standards Institute (ANSI) Z21.11.2. One of our service technicians would be happy to come and measure your fireplace when giving an installation estimate. 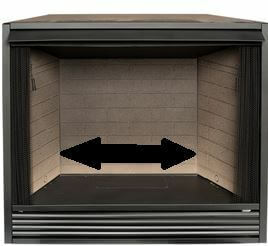 If you would like to know what size logs will fit inside your existing fireplace while looking at displays, here are some quick easy steps. With these measurements, we will be able to advise you on the best set of logs for your fireplace. 1. 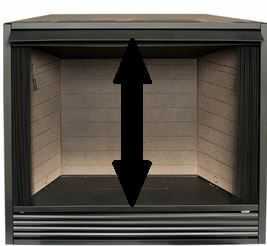 Measure the width of the front of your fireplace. 2. Measure the width of the back of your fireplace. 3. Measure the height of your fireplace. 4. Measure the depth of your fireplace. (only the area inside the fireplace, not the hearth).